I recently bought myself a Fitbit Charge which is an activity and sleep tracker. I have been researching for a few months and was thinking about waiting for Apple’s watch, but my technical advisor (aka my husband) advised waiting for the next generation of the Apple watch. It’s middle of the road price wise, not the cheapest and not the most expensive either. I didn’t want a pedometer as I wanted to put it on and forget about it. I wanted one where you can see the time as I didn’t want to wear a watch as well as a tracker. Also I wanted to see the number of steps on the tracker rather than having to go back to the app to check how many steps I had taken. It was easy to set up the accompanying app on my iPad and it updates as often as you like via Bluetooth which again is easy to do. All the info is displayed on a dashboard in the app and there are optional sections for you to add in how much liquid & food you have consumed. 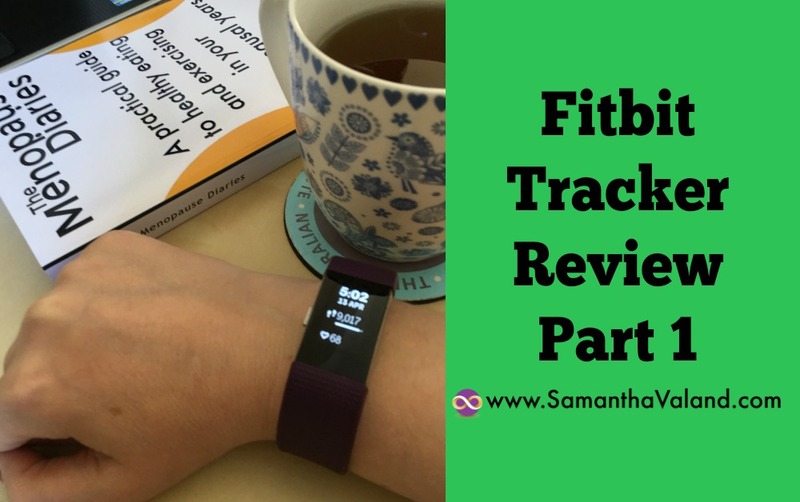 You can track your weight & exercise as well. You can view your sleep and steps by day, week, month, quarterly & year which is handy. When you are setting up the app you select which wrist the tracker is on dominant or non-dominant. It suggests that you sleep with it on the non-dominate wrist so I swap between the two and wear it on the dominant wrist during the day. The tracker can’t tell the difference between when I’m reading my book in bed & sleeping. So it looks like I’m sleeping longer than I really am. I think the more sophisticated trackers which also pick up your heart rate are more sensitive to sleep patterns. While you don’t need a tracker to tell you if you have had a good night’s sleep or not, it picks up when you are restless which is useful for picking up patterns. The step tracker is interesting. As I expected I have a days where I hit 10,000 steps by lunch time and other days not so much. I easily average 10,000 over a week. It is an easy trigger to remind me to get out for a walk on the days where I’m not close to 10,000 steps and quite surprising the difference taking the long way home can make! Sleep and walking are two biggies when it comes to balancing out hormones. Both are free but require time. 10,000 steps is generally the recommended target which is roughly an hour, it can be easily split up into smaller chunks if that suits your lifestyle better. A good night’s sleep is usually starts by switching off anything with blue lights such as tv’s or iPads. Reading is a good way to settle the brain down and therefore get to sleep quicker. Setting goals and having an easy way to track & measure them is a cornerstone for long term success. It has been a good purchase so far but be warned it is a little bit addictive! As always please check with your Doctor before starting any exercise programme.